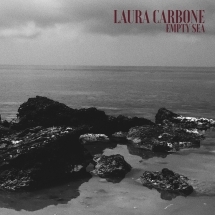 Carbone entices with sharp lyrics, dark melodies and a twist of 80s/90s dark wave pop a la PJ Harvey and Laura Branigan. Laura Carbone returns with her eagerly anticipated second album Empty Sea, set for release June 8th 2018 on Future Shock Records in Canada and the USA. Written in Los Angeles and recorded at the infamous RAMA Studios with Christian Bethge, you can hear the noisy transatlantic influences of the now Berlin-based darkstar. Listening to lots of Nick Cave while on tour with The Jesus And Mary Chain was an influence in developing the sound for the new record; but the noisy feedback and heavy reverb on tracks such as "Cellophane Skin" and "Crisis," is balanced with more harmonious numbers on the album, among which are "Tangerine Tree" and "Lullaby." The album title Empty Sea comes from the brother grimm's fairy tale "The True Bride" in which a kidnapped princess must empty a lake with a spoon full of holes. "There were moments when I really doubted myself as i had some blocks, retreating to LA to write really gave me the courage to get the album together, the experience of overcoming doubt made me think about the girl with the spoon". With driving drums and an almost macabre intensity, [Heavy Heavy] exudes mystery with a sexiness that cannot be denied. ...embraces the night with black leather, Kills-y panache.